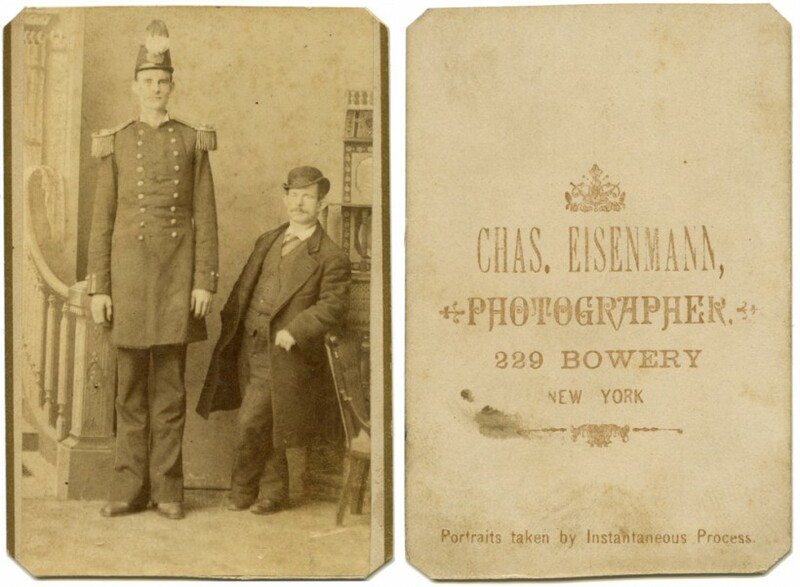 Charles “Chas” Eisenmann was the most notable and prolific producer of cabinet cards in Victorian-era New York City. 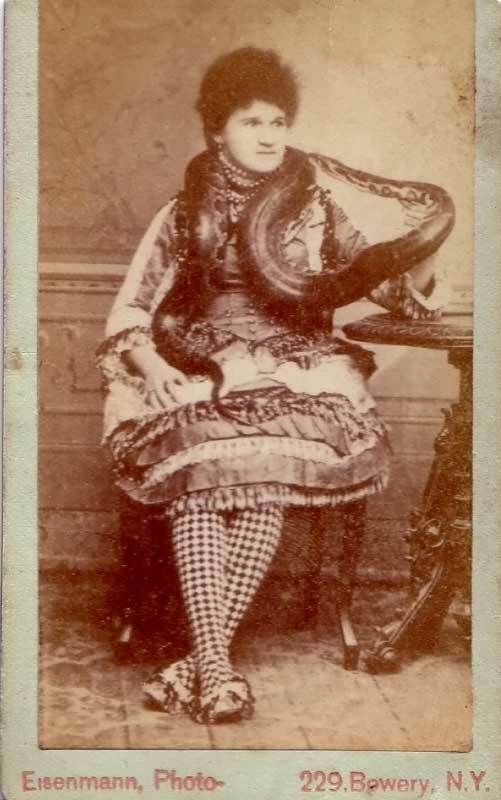 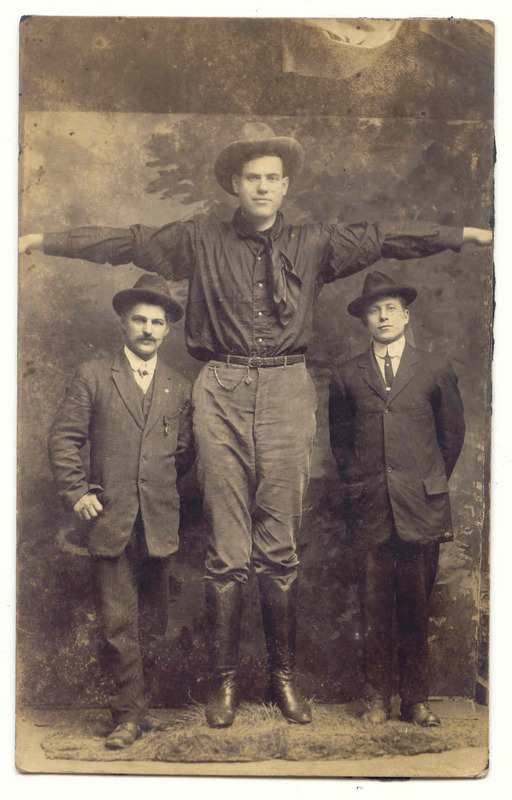 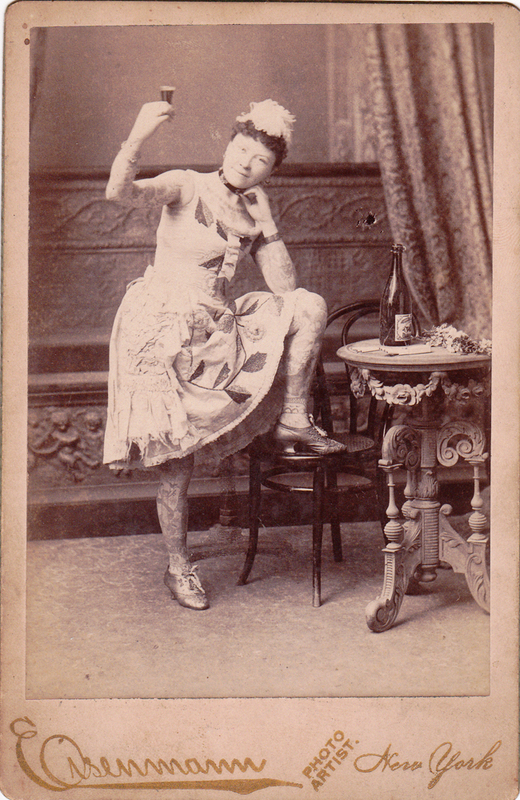 From his Bowery studio, he produced some of the most well-known images of sideshow freaks, as he capitalized on the Victorian fascination with them. 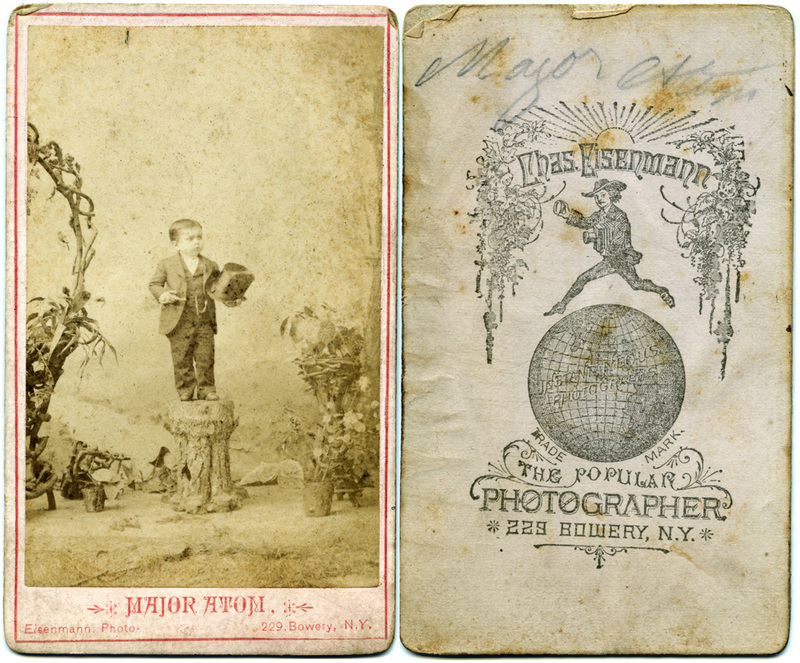 In the late 1880s, his cartes-de-visite were wildly popular among the middle class, and have become huge collector items to this day. 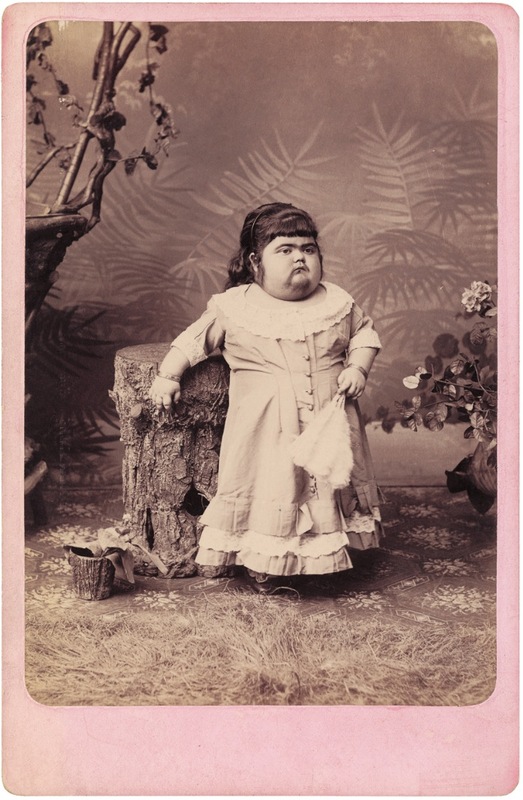 Like many other photographers of genetic abnormalities, he did use gaffs or “humbugs” in some of his work, but he collaborated with Barnum and Bailey to take photos of some of their most notable freaks of the time, like Major Tom Thumb. 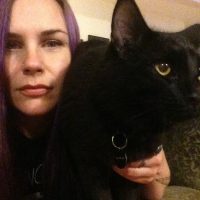 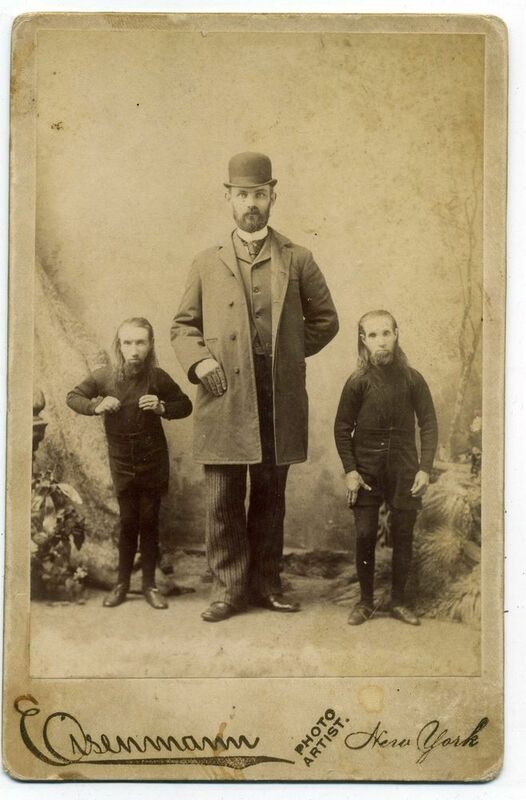 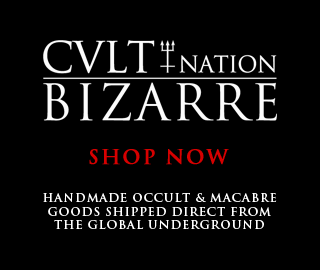 A book of his freak photography was published in 1979 entitled “Monsters of the Gilded Age,” which you can find here. 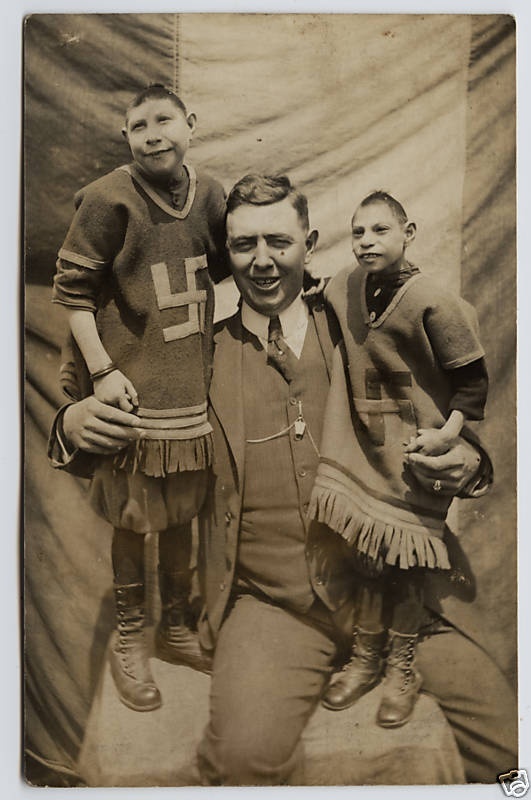 He was succeeded by his intern, Frank Wendt, who is also well known for his freak photography. 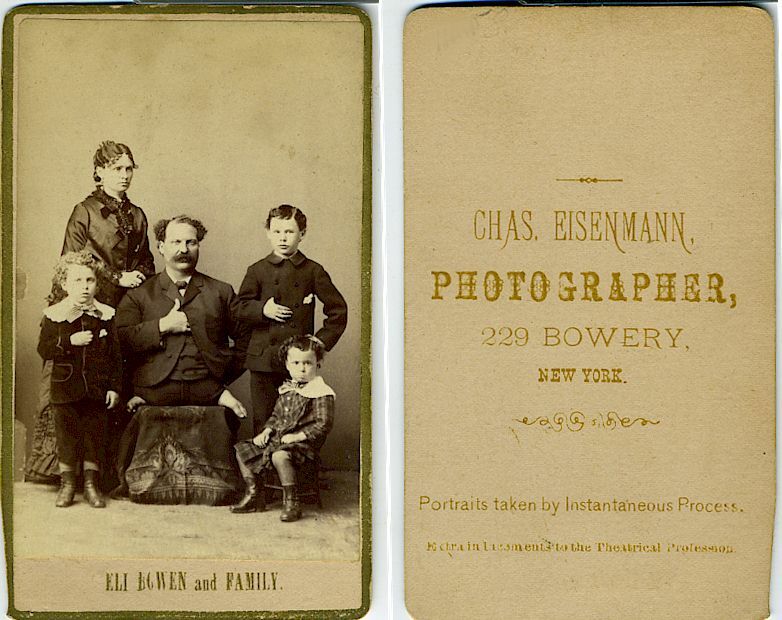 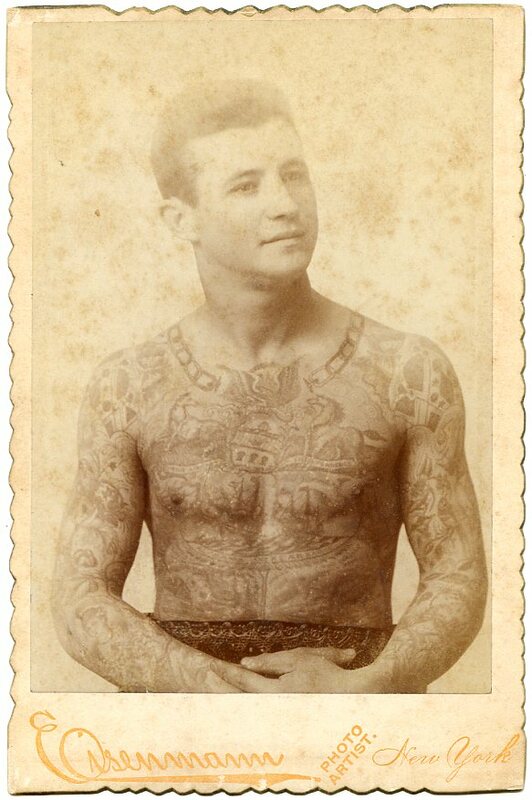 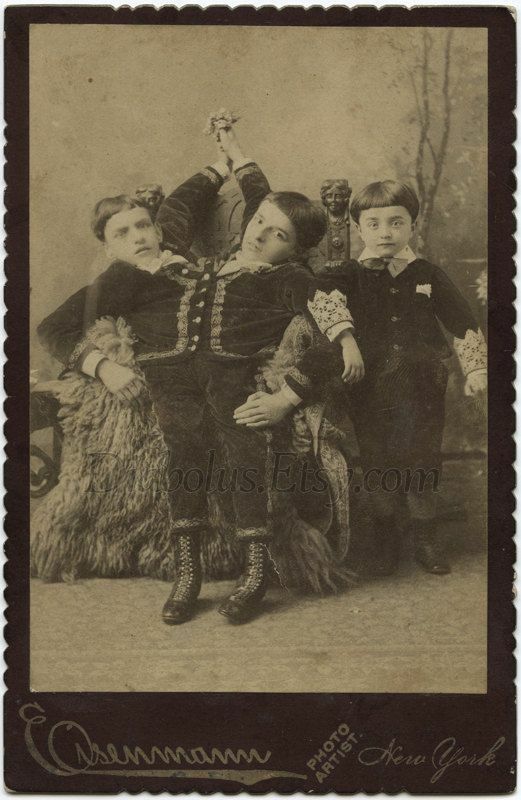 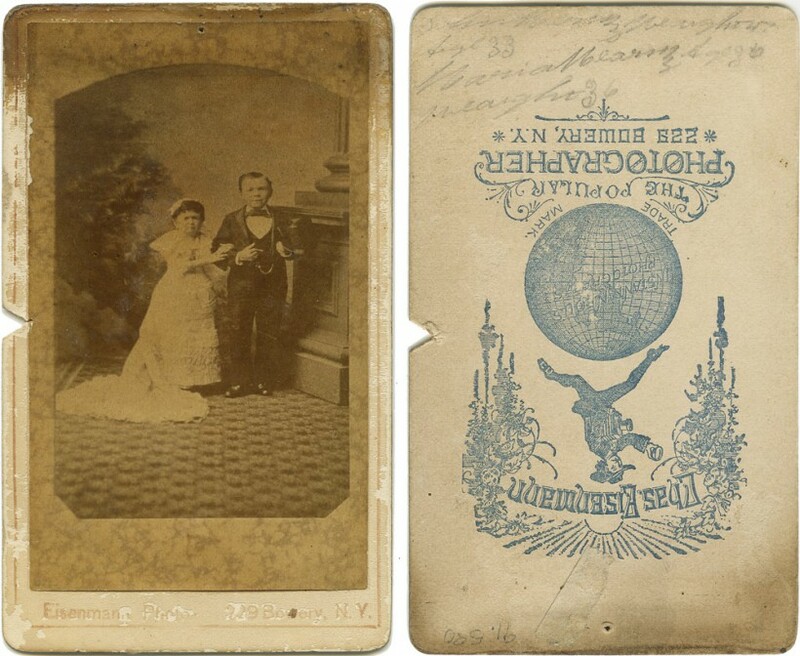 Check out a gallery of Chas Eisenmann’s cabinet cards below (captions via Gallery Naruyama). 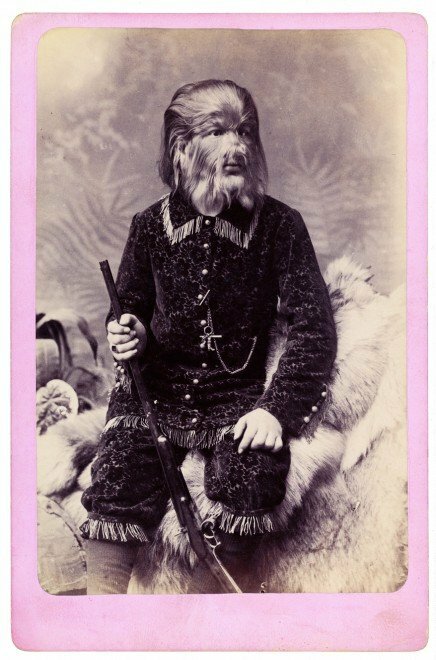 The beautiful JoJo, “The Russian Dog Face Boy” processes the charm and elegance of the beast in the Beauty and the Beast. 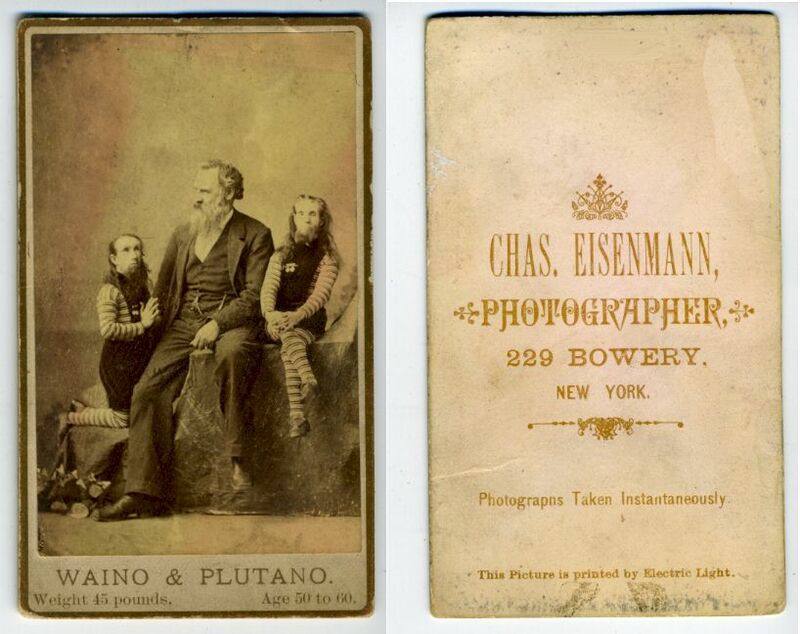 He was one of the most successful performers and his portraits are one of the most famous in Eisenmann’s oeuvre. 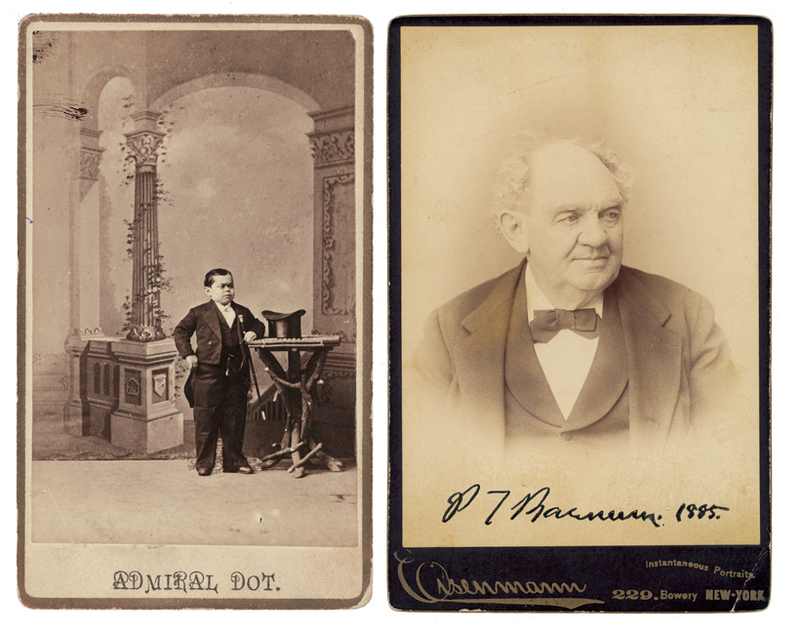 Reaching success with Admiral Dot the Midget, it is known that Phineas Taylor Barnum (known widely as P.T. 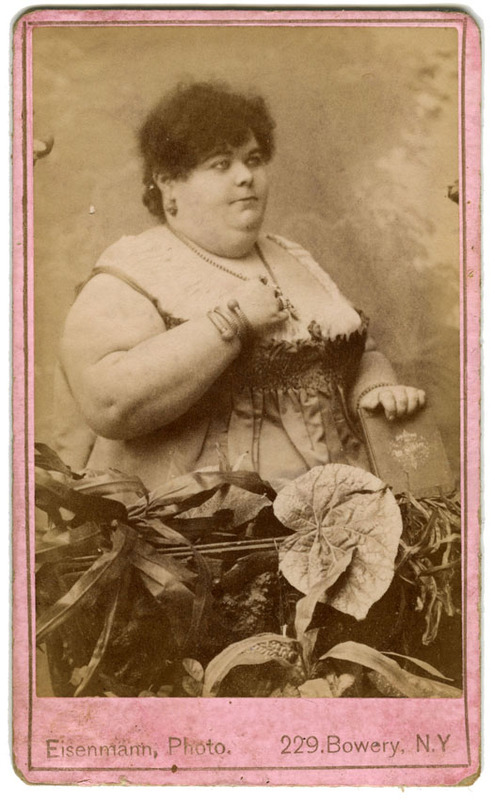 Barnum) accepted abnormal people as gods, although the notion is a bit sketchy. 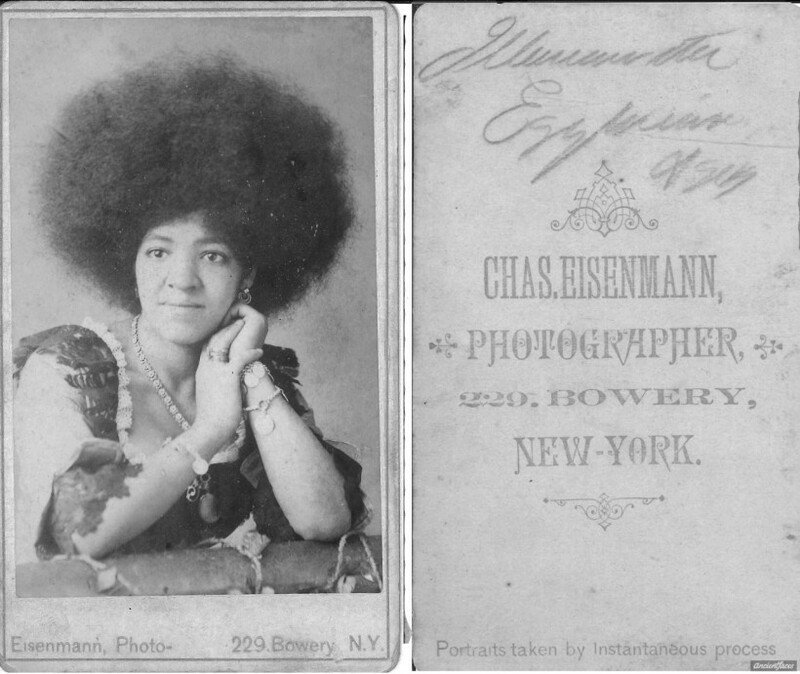 He left his signature on a portrait by Eisenmann in 1885. 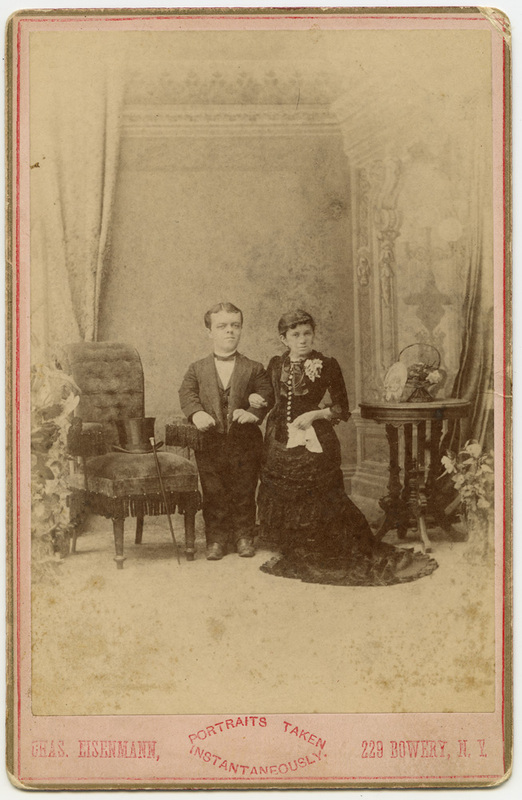 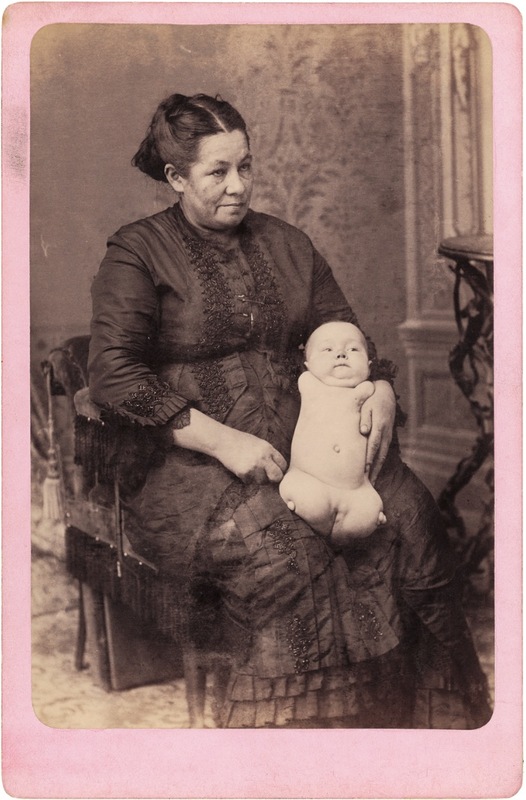 “Dwarf Fat Lady” Sophia Schultz was a frequenter to Eisenmann’s studio. 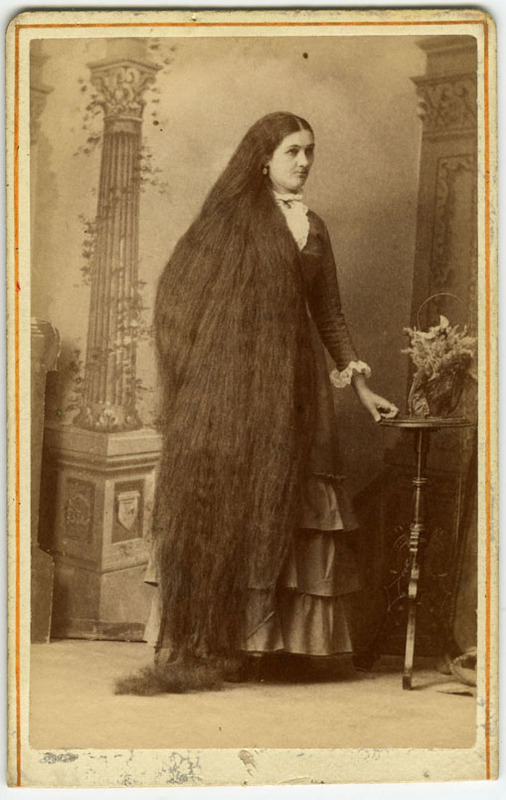 Sometime during the 1880s, she began to grow facial hair, which was reinforced with a little pencil work. 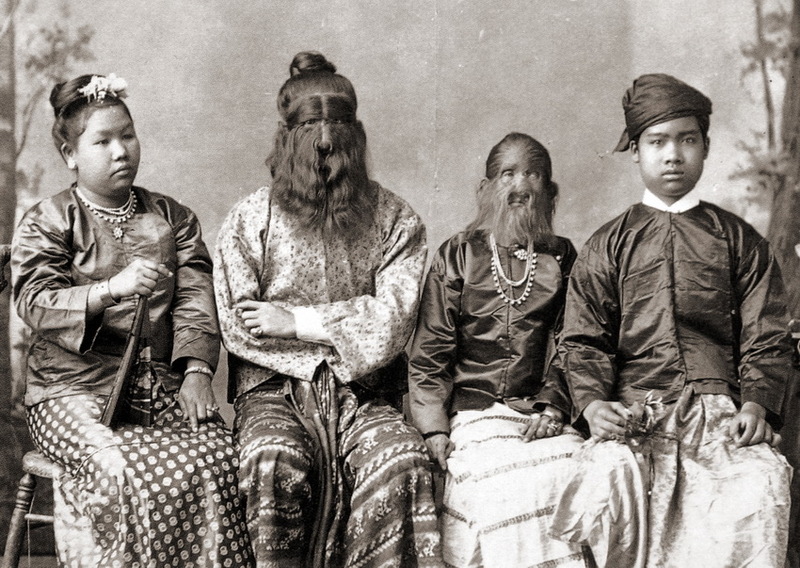 People with amazing appearances live amazing lives. 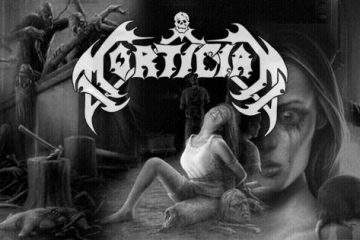 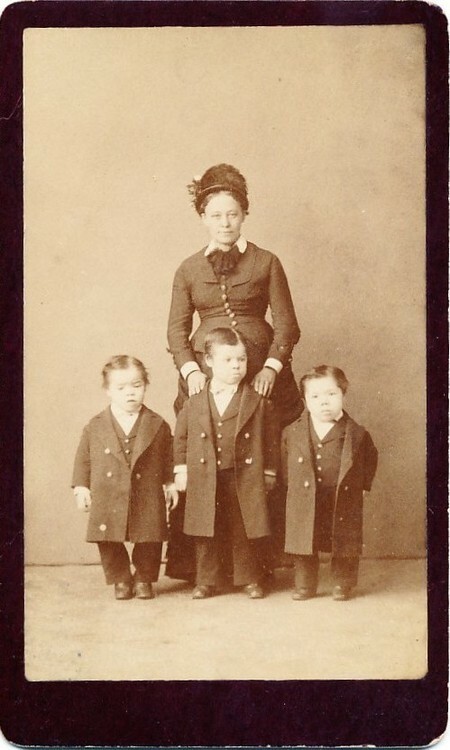 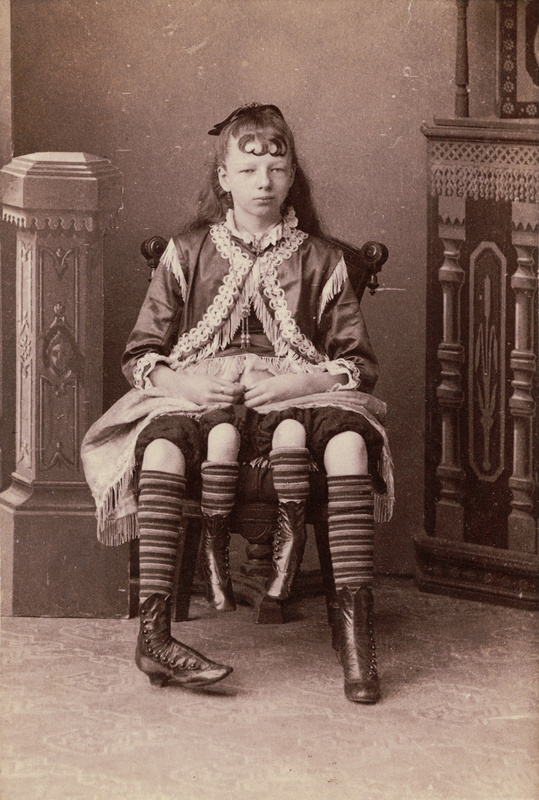 The four-legged Myrtle Corbin bore 2 and 3 children respectively from her two separate vaginas. 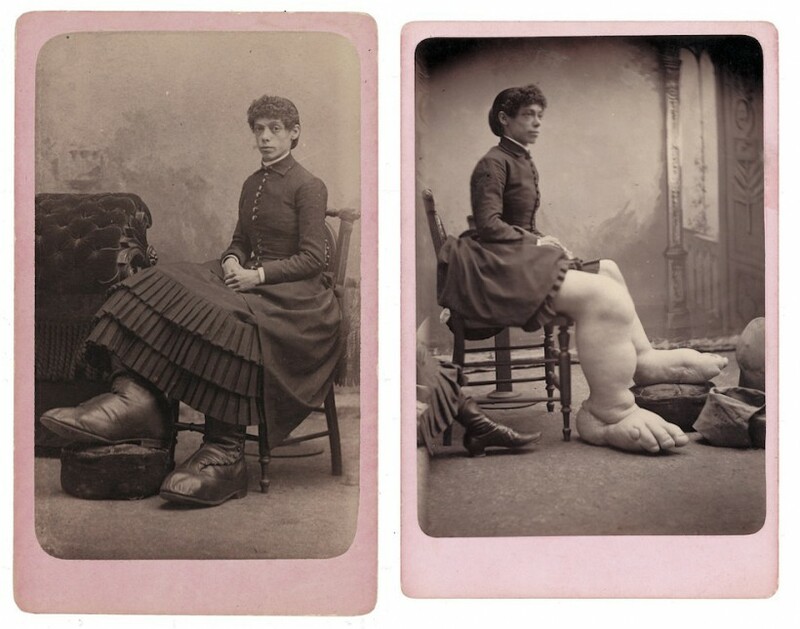 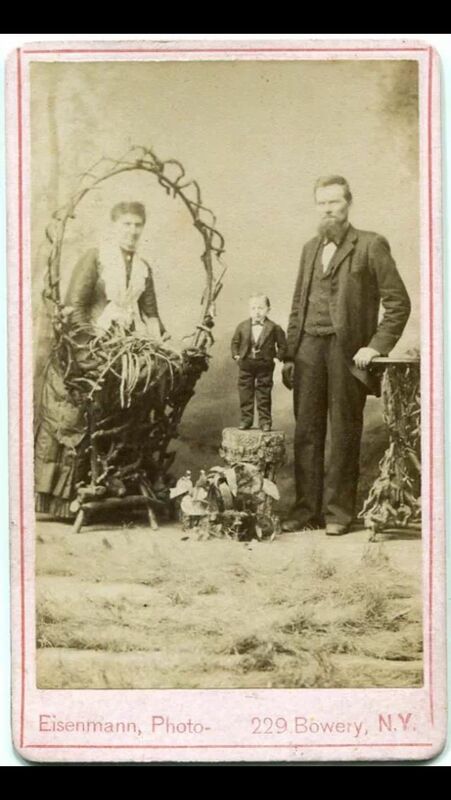 Born with a beautiful face and giant feet, Fanny Mills came with a dowry of $5000 cash and a “well stocked farm” in Ohio from her desperate father, to any single men willing to take her as bride. 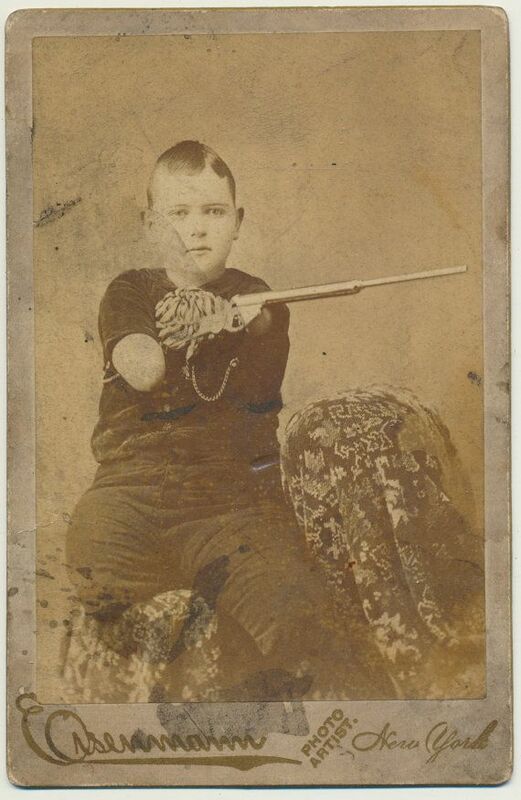 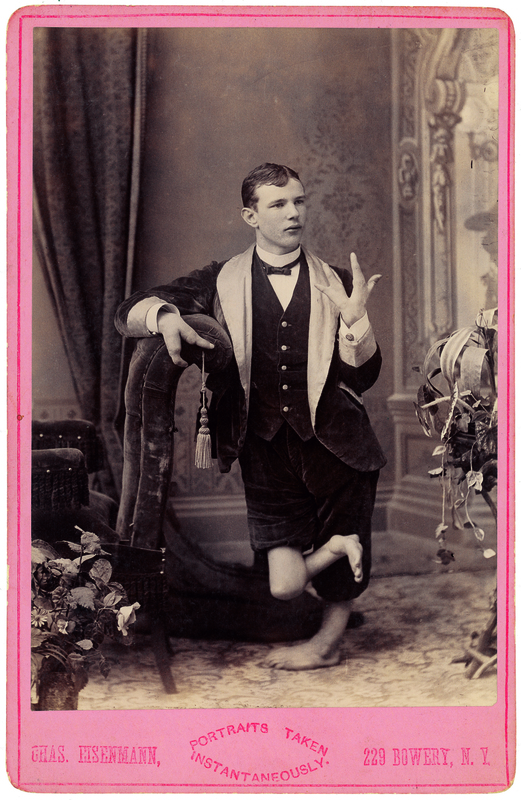 In the 19th century, physical deformation was not so much a handicap as a talent. As in modern society where we strive to fix any deformities towards an ideal perfection, if the situation allows and is not life threatening, physical deformation was used to an advantage. 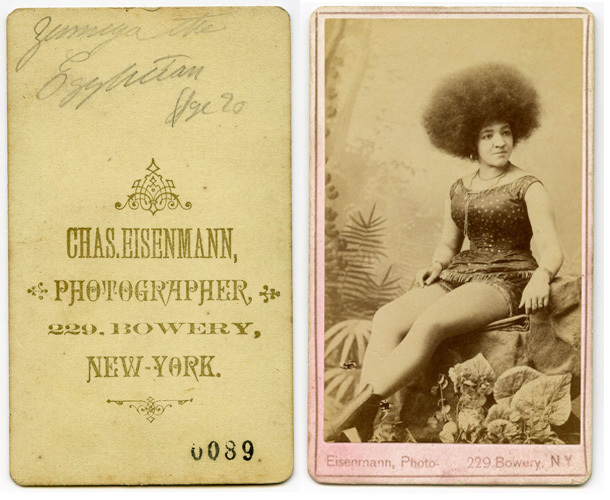 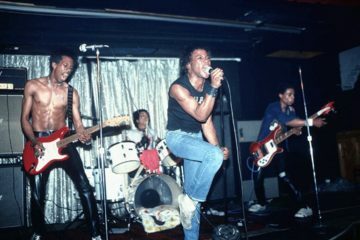 Many of the performers in dime museums received good wages and married with happy lives. Much like Eli Bowen, whose feet grew directly out of his pelvis.